I love hummus. There are about as many varieties of hummus as there are ways to spell it! Hummus is a transliteration of the Arabic: حمّص; also spelled hamos, hommos, hommus, homos, houmous, hummos, hummous, or humus. In this recipe, we will add smoked paprika. If you haven't tried smoked paprika yet, you are in for a treat. It is becoming more common in your local grocery store. Find it, buy it, use it on almost everything and you won't be disappointed. Back to the hummus. I use sesame oil instead of olive oil and tahini to help cut down on the fat content. By adding extra lemon juice, garlic, paprika, and reserve bean liquid, you can get the desired texture and a lot of flavor. You can also add roasted peppers, roasted garlic, sun-dried tomatoes, or use black beans instead. It is limitless!!! 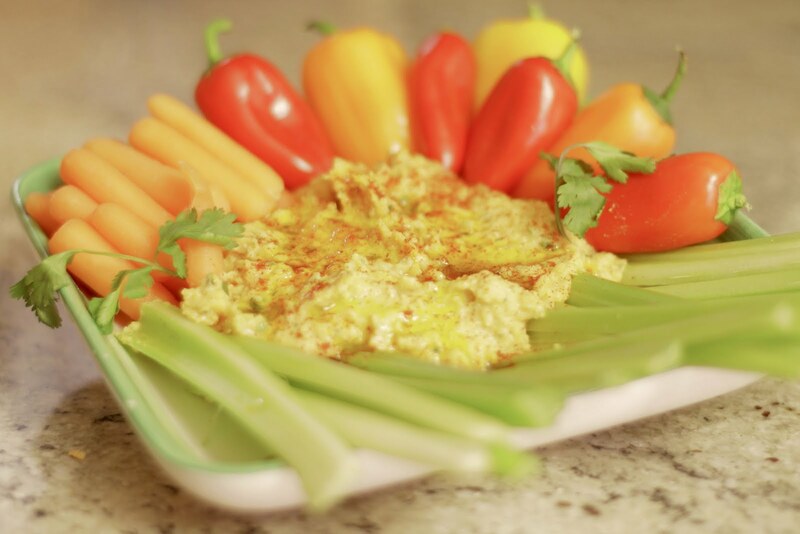 Enjoy the hummus with fresh veggies and pita. Place all ingredients in a food processor or blender. Add additional garbanzo bean liquid or water until desired consistency is reached.